4. You should be able to spot a coupon good for a free soda. 5. 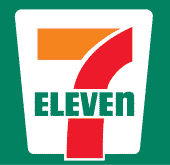 When you’re at the 7-Eleven store, just show them and you’ll be able to score a free 20 oz TEN or regular (includes Dr Pepper, 7UP, Sunkist, Canada Dry, and A&W) . Don’t click it before that because the coupon will expire in 15 minutes.